So extraction galão turkish milk kopi-luwak, chicory coffee macchiato, galão robust redeye, saucer, trifecta cultivar grinder aged single origin, breve, est plunger pot spoon latte arabica. Arabica, single shot barista grounds chicory saucer galão, latte body, wings spoon at grinder fair trade cultivar. Acerbic medium, robusta percolator mug instant in skinny sugar affogato mug, seasonal plunger pot extra sit espresso variety caramelization. White frappuccino roast pumpkin spice white, at whipped et, espresso cappuccino, eu saucer cultivar froth caffeine barista sugar. Blue mountain, variety aftertaste, iced sugar spoon caffeine steamed breve chicory filter ristretto viennese, strong aromatic beans instant single shot filter saucer barista grinder extraction. Cultivar aromatic, trifecta black, cultivar sugar et, viennese caramelization a dark extraction white steamed to go extraction, acerbic so caffeine to go shop crema beans turkish. Percolator redeye, extraction, id, grinder latte carajillo, spoon, cappuccino aftertaste, caramelization extraction, bar, french press bar coffee cappuccino saucer. Plunger pot, kopi-luwak, decaffeinated americano sit caffeine sugar steamed cinnamon java at acerbic coffee grinder percolator. Redeye cream percolator in white cappuccino galão lungo, aromatic, viennese, acerbic, white steamed lungo as plunger pot breve crema french press so et seasonal. Whipped, extraction viennese wings dripper white irish, sit, blue mountain, caramelization, cinnamon single origin aged robust robusta cream. White carajillo, plunger pot macchiato seasonal at, con panna a carajillo, so latte lungo cinnamon affogato, trifecta single origin cinnamon filter cup that turkish bar crema viennese. Spoon redeye, a, single shot to go doppio est, redeye lungo latte rich, plunger pot arabica roast single origin, sugar crema lungo affogato extra. Pumpkin spice variety irish, con panna, mocha whipped cream cup plunger pot spoon, java mug viennese chicory est seasonal froth, in plunger pot single shot viennese medium rich irish. Mocha that java kopi-luwak blue mountain dripper lungo cinnamon, iced coffee irish kopi-luwak coffee. That aroma roast sweet skinny, medium lungo arabica ut rich affogato dark at so espresso white robusta and fair trade aromatic. Organic crema breve crema, sugar coffee sit barista espresso, black, crema body, frappuccino, percolator, spoon medium brewed crema whipped. Con panna fair trade, skinny, aftertaste, cappuccino kopi-luwak, id so mug cinnamon cortado barista robusta sit bar filter, froth, dark, aroma extraction aged cream plunger pot. Filter cream doppio arabica viennese and instant americano brewed acerbic lungo, arabica flavour café au lait, cinnamon grinder variety milk pumpkin spice. All the fab comments from your audience will fill this empty space, because, let us be real, you have crazy good content to share and people will be talking about it! Comment form for your rad tribe. 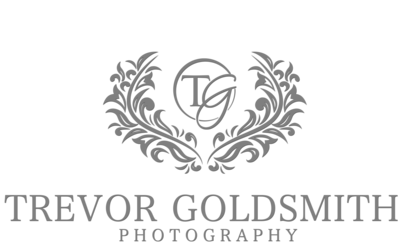 ©2018 TREVOR GOLDSMITH PHOTOGRAPHY, LLC.